Price transparency stumbled out of the gate last week as hospitals complied with a new CMS requirement to publish their lengthy list of retail charges for individual services and diagnosis-related groups in online spreadsheets by the first of the year. Some hospitals, such Northwestern Memorial in Chicago, posted a link to their charges right on their home pages. Most others, such as HCA's Aventura Hospital, posted the data deeper inside their websites, requiring a search and multiple clicks. One system, MedStar, said it won't post the information until next week because it's still working to ensure accuracy and clarity. In the case of Sutter Health, the information appeared on the system's website as a blob of incomprehensible script. A Sutter spokeswoman said the data was published the .JSON format, which she called "a machine-readable format that complies with the rule." Even when the chargemaster data were published prominently and clearly, hospital executives and consumer advocates say the information is useless or even misleading to the general public. "The unfortunate thing is that for most consumers, because it's standard charges not related to their coverage, it's not that helpful," said Rick Gundling, senior vice president of the Healthcare Financial Management Association. "It was an exercise that doesn't add a lot of value to the consumer." Meanwhile, officials at hospitals that have invested in online tools allowing patients to get reliable estimates of how much they would pay out of pocket for various services hoped publicity about the new sticker prices would draw attention to their more consumer-friendly transparency efforts. These include Baylor Scott & White Health in Texas, St. Clair Hospital in Pittsburgh, and El Camino Hospital in Mountain View, Ca. In explaining the CMS-required price data on their websites, these hospital systems encouraged consumers to use their personalized cost estimators for calculating out-of-pocket prices. Those estimates are based on individual consumers' health plan benefits and deductible status. "It's shining a light on something we're excited to already have worked on," said Julie Smith, a spokeswoman at Baylor Scott & White. "We think our tool is something patients will find more useful." Last August, the CMS finalized the rule requiring hospitals to publish a list of their standard charges in a machine-readable format and to update the information at least once a year, in line with a provision of the Affordable Care Act that was never previously enforced. There currently are no penalties for non-compliance, though the agency is considering how to enforce the rule. The measure is part of a broader initiative by HHS Secretary Alex Azar and CMS Administrator Seema Verma to foster price transparency for medical services, prescription drugs, and health plans. "We need to do something about rising cost, and a key pillar is to empower patients with the information they need to drive cost and quality," Verma wrote in a November blog. She added that the administration wants to make it easy for patients to analyze cost differences across all care options. But there was broad agreement that posting chargemaster prices and average DRG costs is not going to achieve that goal, though the CMS rule sends a directional signal for healthcare industry groups. The retail price spreadsheets posted by hospitals included charges for thousands of services, which typically listed a procedure code and an often-cryptic description of the service. There often were multiple prices for similar-sounding services. "You have to start somewhere on transparency, but these charges are not indicative of what anyone really pays for hospital services other than Saudi Arabian kings," said Niall Brennan, CEO of the Health Care Cost Institute, which offers a consumer-focused website with price information for hundreds of healthcare services. "And do we really expect consumers to go to the websites of three or five hospitals in their area to compare the made-up numbers known as hospital charges?" he continued. "How will that help them figure out the most efficient place to get care?" Many hospitals acknowledged these limitations in their website prefaces to their chargemaster spreadsheets. They also tried to provide context by linking to their policies and guidances on financial assistance, how to avoid surprise out-of-network bills, and how to contact the hospital to get a more specific price estimate, Gundling said. 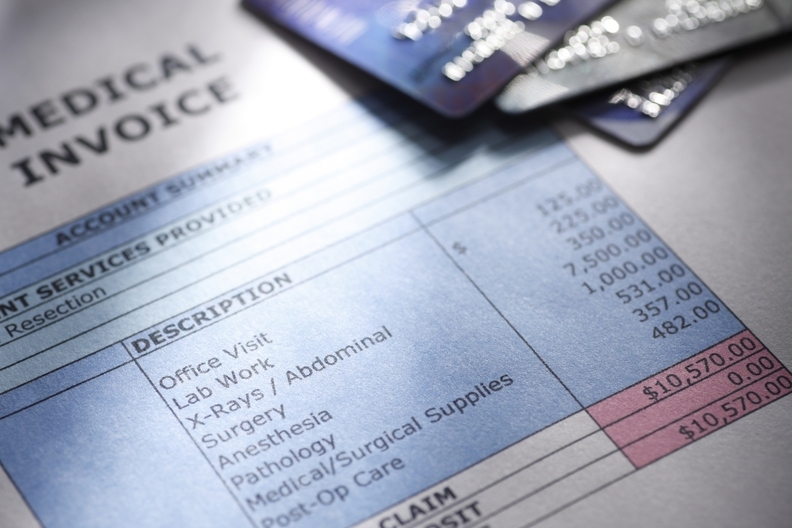 "Hospital charge data is not representative of a patient's expected out-of-pocket costs," Northwestern Memorial Hospital wrote. "Because each patient's case is different based on specific medical conditions, the actual amount owed by a patient will depend on that patient's insurance coverage… In the vast majority of cases, however, hospitals are reimbursed by insurance companies and Medicare/Medicaid at a rate that is considerably less than the amount charged." Some hospital leaders were impatient with the CMS rule because they've already moved to more advanced price transparency models. For instance, over the last decade Pomerene Memorial Hospital in Millersburg, Ohio, in the heart of Amish country, has developed bundled prices for more than 300 services. That was driven by the Amish community's desire to shop for the best deal and pay in cash at the time of service. Doing that has forced Pomerene to move ahead of most hospitals in its ability to calculate the input costs of supplies and services and come up with a set price. Tony Snyder, CEO of the 55-bed hospital, said giving consumers a package price for set of services, such as childbirth or an orthopedic surgery, is key to true price transparency. That's what the Amish community wants, rather than a multi-page bill with dozens of itemized services. While Pomerene complied with the CMS rule and posted its chargemaster prices, "the Amish know that's not the pricing they're going to pay," Snyder said. "I don't know how anyone will be able to use that to shop for the best price."